Starting a conversation with your clients on charitable giving can be a challenge. Nonetheless, doing so will not only show your clients that they can rely on you to help with their future financial security, but also that you care about their personal goals, values and how they wish to make a difference. But, not all advisors are comfortable getting the conversation started. “It can be delicate. Financial advisors are reluctant to ask about charitable giving for fear of implying that clients are not giving enough, or that they haven’t really thought about philanthropic issues,” says Marvi Ricker, vice president and managing director, Philanthropic Services at BMO Private Banking. “The best way to start is with a simple question, ‘Are there any charitable considerations you would like to discuss?' Just keep it open-ended, and then proceed based on how the person answers,” says Ricker. According to a recent Ipsos Canada study on the nature of the philanthropic conversation in Canada, advisors should feel confident initiating philanthropic discussions because virtually all of their clients are already givers. The research found that among the wealthy individuals who had conversations about philanthropy with their advisors, most found it useful and the vast majority were satisfied with the help they received regarding their charitable giving. 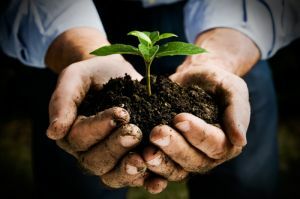 While clients are open to talking about their charitable plans, it is still not that commonplace. Do you like to volunteer? Which volunteer experiences do you find the most rewarding? Which causes have you supported that gave you the greatest satisfaction? Are your partner, parents, children or grandchildren involved in your philanthropy? Do you have personal values that you feel you can express through charitable giving? Another catalyst for starting the philanthropic conversation is when there is “money in motion”. Money in motion may be the direct result of an inheritance, sale of a business or a divorce settlement. “If somebody has passed away, then there is an inheritance. Or if a public company is being sold and the client is a shareholder, this is an obvious time to open the conversation,” says Jo-Anne Ryan, vice president of philanthropic advisory services at TD Wealth and the executive director of the Private Giving Foundation. If the money never does go “in motion” then there are other avenues to open a dialogue such as having discussions with clients about the type of legacy that they would like to leave. But sometimes, the direct approach is the best. However you choose to start the conversation, the evidence points to clear benefits of doing so. 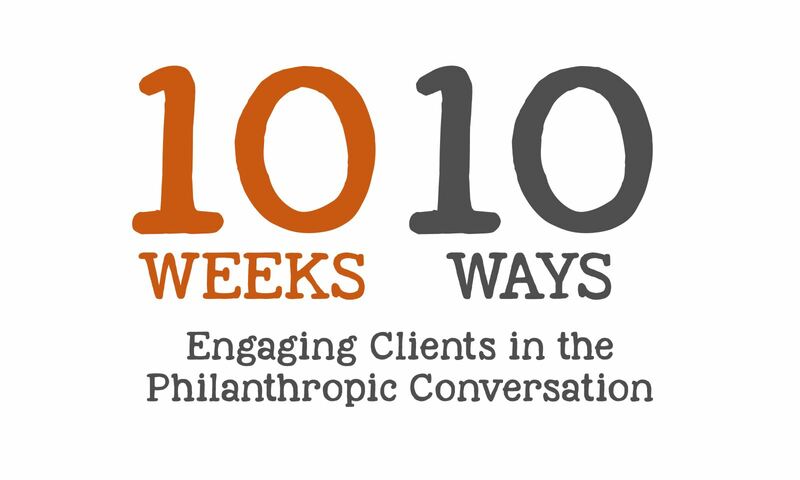 Ricker says that proactively engaging clients in a dialogue on charitable giving can pay dividends for your client relationship as you help them realize their philanthropic goals while also achieving their financial and personal objectives.